This pin was my dad’s. 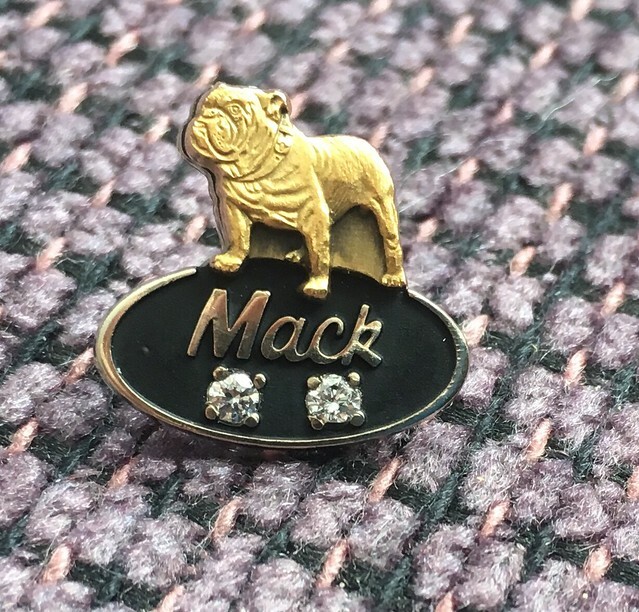 I believe it was in recognition of 10 years service at Mack Truck, where he worked for 24 years, until the plant closed down – so he had a lot of service recognition pins. My mom, my sister, and I each wore one to his funeral and I wore mine today, in his honour, as he died seven years ago today. Also in his honour, I made a big fat lump sum payment on my mortgage today. I know he would be proud of me for being good with my money. Miss you always and forever, Daddy.